Lots of customers have seen types of screw conveyers in many construction sites, but what is a screw conveyor? What’s the function of concrete screw conveyor? In general, screw conveyor is widely used to convey dry powder and small granular materials horizontally or vertically, such as cement, fly ash, slag, lime, grain, mortar and etc. Screw conveyor is basically composed by screw machine, the driving device, feeding and discharging port. The working principle of screw conveyers are that the materials are moved and conveyed with rotation of the screw blades. However, the screw blades welded on the rotation axis can be changed according to different types of conveying materials. From the displacement direction of materials, screw conveyors can be divided into horizontal and vertical screw conveyors. From the whole appearance, it also falls into two types, which are U type and pipe type screw conveyor. Screw conveyer has played an important role in various industries, such as construction engineering, chemical, electric power, metallurgy, coal, grain and other industries. It has compact structure, long conveying distance, low abrasion, high conveying speed and efficiency. Our machines has wide application, which can be used to conveying types of different materials. It has very good sealing performance, which can largely avoid air pollution and keep the construction site clean. The equipment has stable movement, high conveying speed, easy maintenance, smooth and safe operation. With the increasing demand of construction industry, there has risen lot of screw conveyors manufacturers all over the world. The conveying distance of our screw conveyor is between 10-70m, which can basically satisfy the requirements of many construction works. Our screw conveyor price is very favorable comparing with similar screw conveyor suppliers all over the world. With the support of professional technologists and sophisticated production workers, our screw conveyor cost is much less than others, and we can provide accurate screw conveyor specifications to help customers make the right selection. 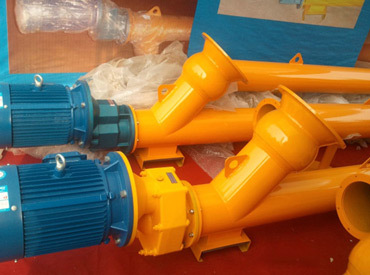 Up to now, we have types of screw conveyors for sale, and it has sold very well at home and abroad. If you have any demand, welcome to contact us at any time to get more related information. 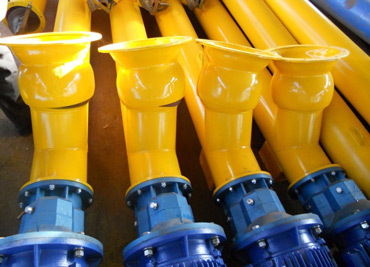 If you are interested in our screw conveyors for sale, welcome to contact us for detailed information.